Home / GST-Tally / TallyERP.9 Lessons / How to Setup GST Tax Rates in TallyERP.9? 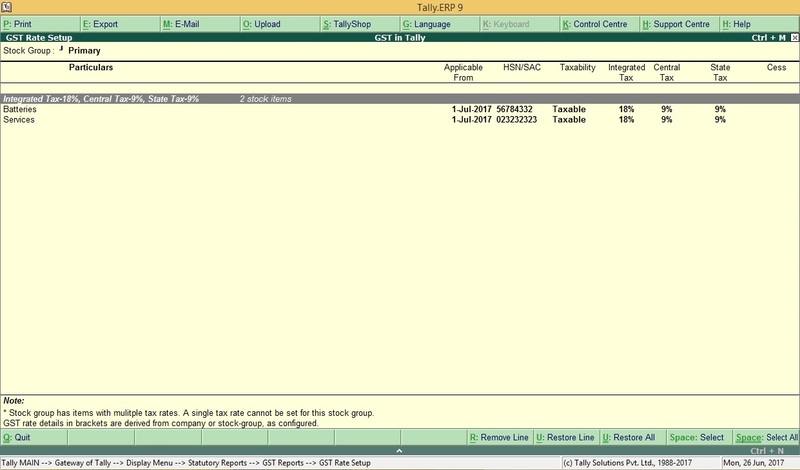 How to Setup GST Tax Rates in TallyERP.9? For Quickly Setup GST Rates in your Tally Data, stock wise or stock group wise using the GST Tax Rate Setup Option. You must Enable GST in your company providing GST Rate. You also can setup rates at the company level, stock group level, ledger group level and ledger level. 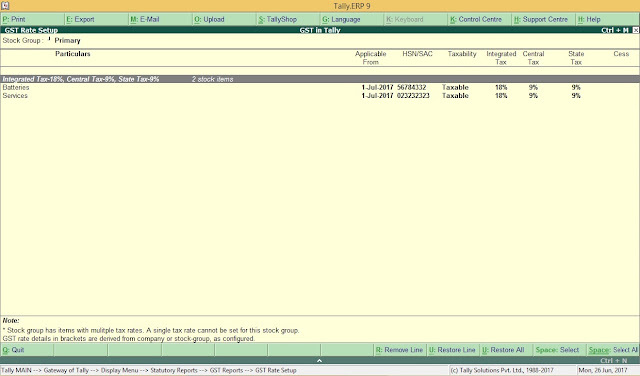 Select the Stock Group or Stock Item, and Press Alt + S to provide applicable tax rate. You can press Space Bar to Select Multiple stock groups or stock items. Set the tax rates and save. Rate Entered for Integrated Tax will automatically divided equally between Central Tax and State Tax. To View the history of Tax Rate changes press Alt + L.